Gaiters originated as a practical means of protecting the lower leg and upper part of the foot from mud and dirt. 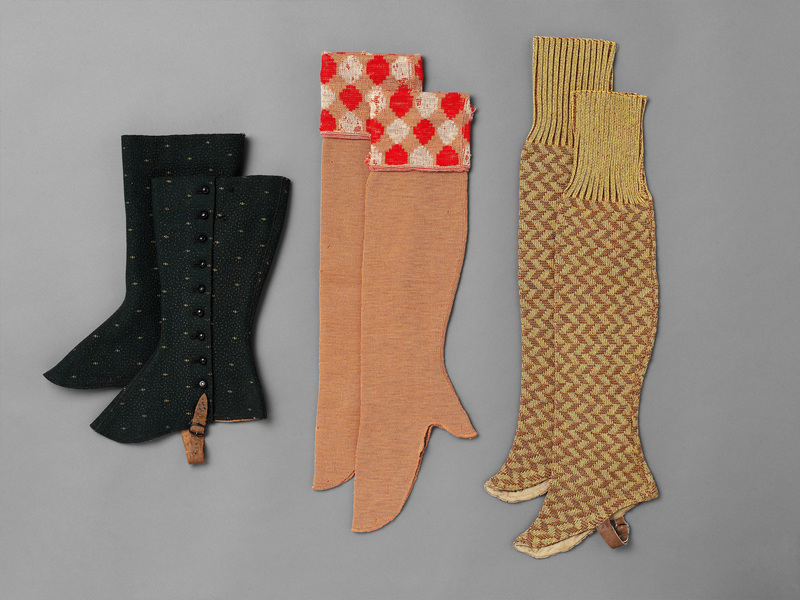 Those worn by men were generally plain and functional, but these three pairs illustrate the more decorative characteristics of women’s versions. The gaiters on the left of the image date from the end of the 19th Century and would have been worn for outdoor activities such as cycling. Made of wool printed in beige with small abstract motifs on a pinspotted ground, their top and inner edges are bordered with floral patterned ribbon similar to that used to trim contemporary corsets, and their lower edges are strengthened with leather. They fasten with small domed buttons down the outer side and are secured under the boot or shoe with buckled straps. 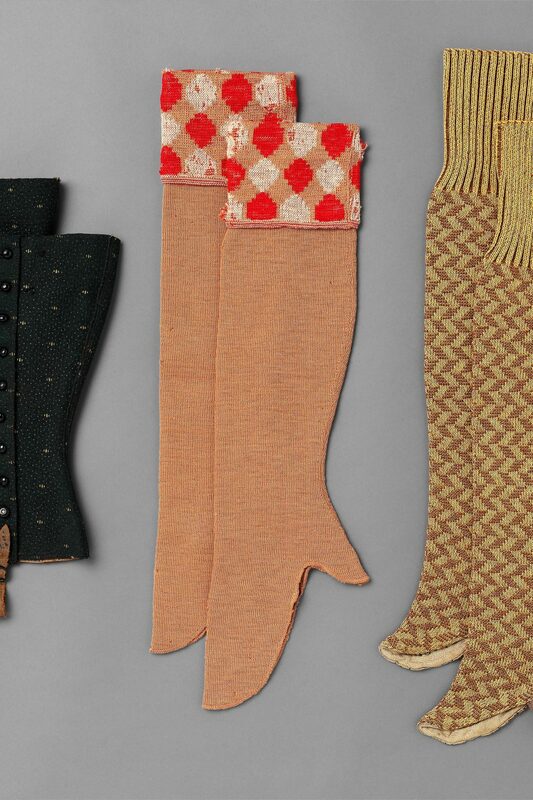 The other two pairs, from the mid to late 1920s, follow the popular style of golf stockings with their turned over tops and geometric patterns, and like them were worn for sporting and country pursuits. Made of machine knitted wool and rayon they were easy to pull on, and, longer than their earlier counterparts, provided warmth for legs exposed by the new short skirts.